The bicentenary of the first service at the Chapel Royal, Dublin Castle on Christmas Day 1814 provided the occasion for the making of this book. What is remarkable is that this book was not conceived before now. 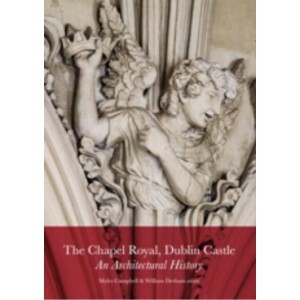 The several contributors, all experts in their fields, have unearthed a wide breadth of previously unpublished material and new research, all of which brings our understanding of the Chapel Royal to a new level. • ‘Throw open those privilged pens’. The changing face of the Chapel Royal, 1815 – 2015, Myles Campbell. The Crawford at the Castle sees the collection of the Crawford Art Gallery, Cork travel to Dublin fo..